So, let me guess you’ve decided that your business needs a mobile app. Well then, Congratulations! 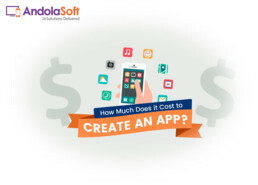 Now, let me ask you a super important question – “Are you planning to build a native or cross-platform app?” If you’ve not thought about it yet, then start questioning to yourself and to your team, to your consultant or to the technical consultants of Andolasoft. Before that let me tell you why this question – If your target audience is divided between iOS, Android, and Windows phones, then designing and developing for multiple platforms might make sense, in one go. Cross-platform mobile app development has the same features like the web application to make the user interaction more productive. No doubt, mobile apps are widely acceptable by huge numbers of Smartphone and other handheld users. Business owners are showing their interest to develop mobile apps because they know that within a minute mobile app can provide the right information to users with respect to their questions. So now you might think – how one app would work on different devices on different networks and on different operating systems? Do not worry keep reading below and you will get the answer. Yes, sure… you are not the one who fails in the same… While working with different clients of different parts of the globe; and they have asked so many questions on mobile app development to us. Should we build a native or cross-platform app? How will I manage my target (iOS, Android, and Windows phones) users? How much does it exactly cost and how it will match to my budget? Single Answer: Cross-platform mobile app development is the solution for all the above questions and to your doubts as well. 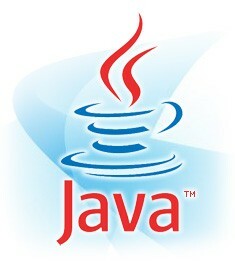 The cross-platform app pulls the power of simplicity and works in multiple operating systems with a single code base. It’s the unique look & feel as well as the user-friendliness that improves the user retention rates. # A native mobile application meets the requirements of a particular operating system by using its SDK. # Whereas a cross-platform application is compatible with multiple operating systems and can run on any smartphone or tablet. Xamarin: C# codebase is used in Xamarin to develop a robust cross-platform mobile app for Android, iOS and Windows devices which allow code sharing on multiple platforms. RubyMotion: This cross-platform mobile app supports both iOS and Android but needs separate GUI for iOS and androids. This is widely used, across platforms. QT: This is the oldest cross-platform framework support both for iOS and Android. QT uses C++ along with QML to develop mobile apps. It’s not easy for programming using C++ but an experienced developer can be productive with QT. Pros of cross-platform mobile app development- this is the interesting part…read carefully. 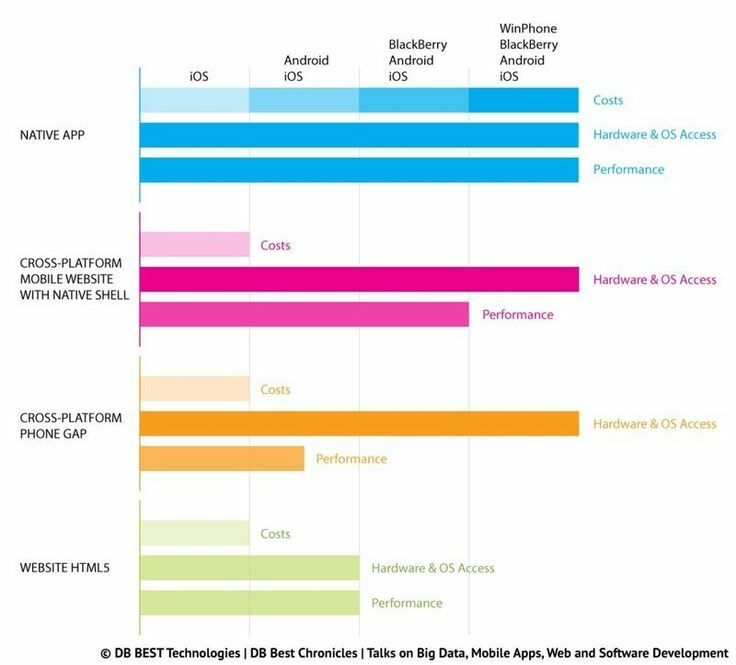 SpeedCross-platform mobile apps are faster in terms of development as compared to native iOS and Android apps. One codebase can be used on multiple platforms instead of creating codebase for each platform. Less Development CostThe development of the cross-platform mobile app is cost-effective & of course a smart way to develop your app. It saves your time and money. SimplicityYou can upgrade the app at any moment and fix the bugs without any problem. With technologies like PhoneGap and Appcelerator, the mobile app developer can easily deploy changes in cross-platform solution. Consistent Design and Easy for MarketingCross-platform mobile apps are consistent in design and well navigated. It helps the mobile app developers to design different apps in different platforms and helps in proper sync between two different mobile apps. Though it fulfills the demands of specific sets of people, it also makes marketing easier and creates better opportunities. 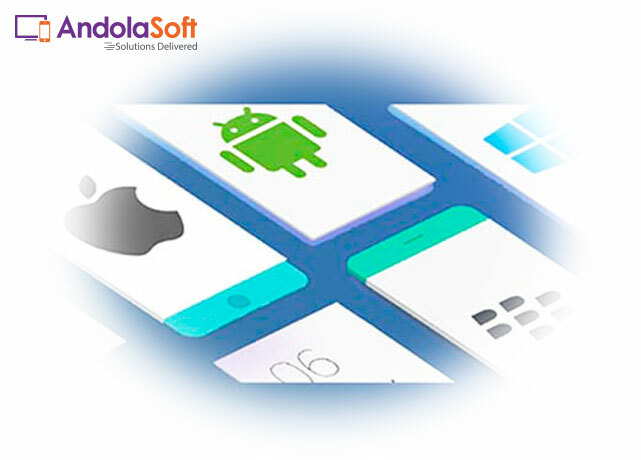 Significant ReachThe cross-platform mobile app can reach global users with all types of smartphones or tablets, whether they are operated on Android, iOS, windows or any other operating system. It seamlessly runs on all operating systems without any glitch. User ExperienceDeveloping an app for different OS and screen layout is a bit challenging for mobile app developers. It’s always important for an app to run seamlessly in major operating systems. Major successful apps are built with native iOS or Android OS to create a better engagement platform with more users. Integration challengesIntegrating cross-platform app to local setting and engaging third-party cloud service is difficult. This is the biggest disadvantage. HTML5 hybrid apps depend on callback-style programming to communicate with native plugins, which makes the code unnecessarily complicated. Also for some tasks, this might lead to impractically slow solutions. Platform limitationsEach platform has a unique set of features and functionality to make the native app more creative. In cross-platform apps, these functionalities and tools are not available while developing an app for multiple platforms. Native cross-platform SDKs is not mature yet and its GUI needs to be coded each time for platform-specific look and feel. No more FlexibilityA medium level phone doesn’t have high-level hardware configuration to read HTML 5 animation and show the exact GUI and the browser components also vary from platform to platform. So it’s relatively painful to support old operating systems. To upgrade the app with latest features needs lots of development work for app developer after upgrading the latest version of SDK. Cross-platform mobile app or Hybrid mobile apps offer good performance in a cost-effective way but native apps give 100% performance and highly productive in nature.